The first time I heard Ray Chen play violin live was at the Huntington Estate Music Festival in 2010, where he brought the house down more than once, including an impossibly assured performance of Ysaÿe’s fiendishly difficult Sonata for Two Violins alongside Dene Olding. He also treated us to a stellar version of Bach’s Chaconne (from Partita no 2), Chausson’s “Concert” (accompanied by piano quintet) and Schubert’s luscious Rondo for Violin and Strings with the Chamber Orchestra of the Australian National Academy of Music. He played quite a lot of other music as well, but I now find it hard to believe that he was able to present so much incredible repertoire in just four days! Since then Ray has become a true global phenomenon, having given major performances alongside the great artists of the world in concert halls at every corner of it. It is a great thrill to have him undertaking his first Australian concert tour with Musica Viva this month, culminating in his long anticipated return to the Huntington Festival, once again in the company of the ANAM Chamber Orchestra. 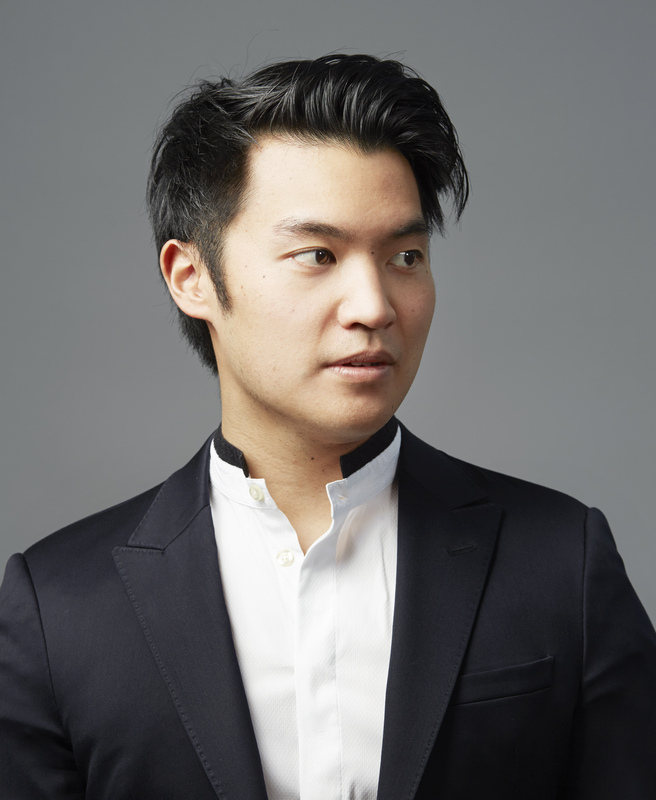 I endorse Bartók’s proposition that competitions are better suited to horses than artists, but it might have taken the world a lot longer to discover Ray Chen’s prodigious talent if he hadn’t won both the Yehudi Menuhin (2008) and Queen Elisabeth (2009) Competitions by the age of 20. The first of these musical races also put him in touch with one particular jury member, the incredible violin virtuoso, and Ray’s childhood idol, Maxim Vengerov. Although Ray would certainly have risen to prominence sooner or later, Vengerov’s support and mentorship helped ensure that this happened a lot sooner than later. The program for Ray’s November concert tour closes with archetypal pyrotechnics in a set of showpieces by Sarasate, including the iconic Zigeunerweisen. These grow from a decidedly serious ground, however, being preceded by Bach’s incredible E major Partita for unaccompanied violin. The first half of the program helps display other sides of Ray’s musical personality, moving from the classical elegance of Mozart’s A major Sonata (K305 ) to Prokofiev’s alternately beautiful, haunting and sparkling second Violin Sonata. Ray’s first commercial CD was recorded in Australia, accompanied by outstanding Melbourne pianist Timothy Young. In a town that seems to have an inexhaustible supply of excellent pianists, Timothy stands out for the breadth of his expertise and his impressive combination of virtuosity and sensitivity. This concert tour unites the two for the first time since that recording. One of the first works ever discussed in one of my first ever university music lectures was Shostakovich’s String Quartet no 8. It had never occurred to me before then that someone could have a musical signature. (I don’t want to go into German note names here, so for the uninitiated I’ll just say that this particular system of naming notes allows Shostakovich to create a musical motif which spells out his initials.) Though the meaning is sometimes debated, the work is dedicated to the “victims of fascism and war,” and already there in that lecture theatre the emotion and power of this work grabbed me. A couple of years later I was given the opportunity to perform this work, in its chamber orchestra arrangement by Rudolf Barshai. The director of this ensemble pushed me to work harder than I’d ever worked before; the rehearsal process, in which our director demanded the highest technical standard and emotional commitment, was one of the most rewarding yet draining musical experiences of my young life. 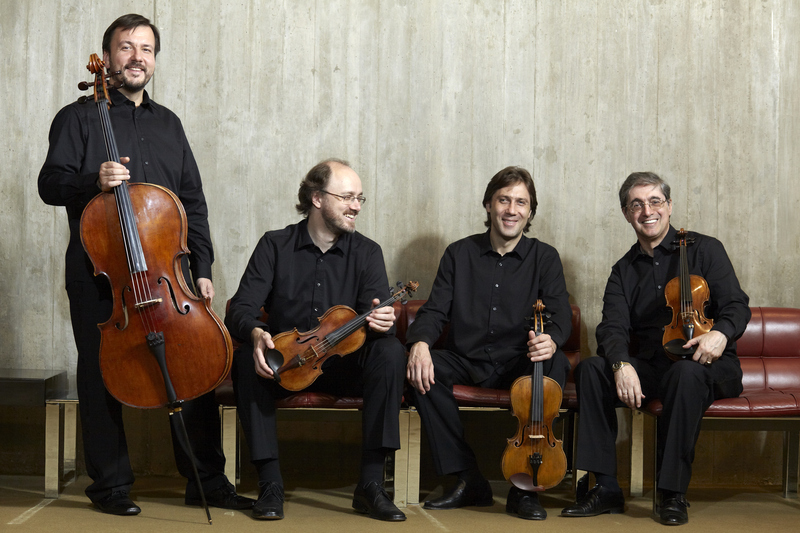 The Borodin Quartet is known for having worked with Shostakovich on all of his quartets. The Quartet still possesses scores with notes from those early rehearsals with the composer, and as members have changed, the old wisdom has been passed down. Though the Quartet admits their interpretations do not remain stagnant, how fascinating to get a little glimpse into how the composer may have envisaged one of my favourite works of chamber music. 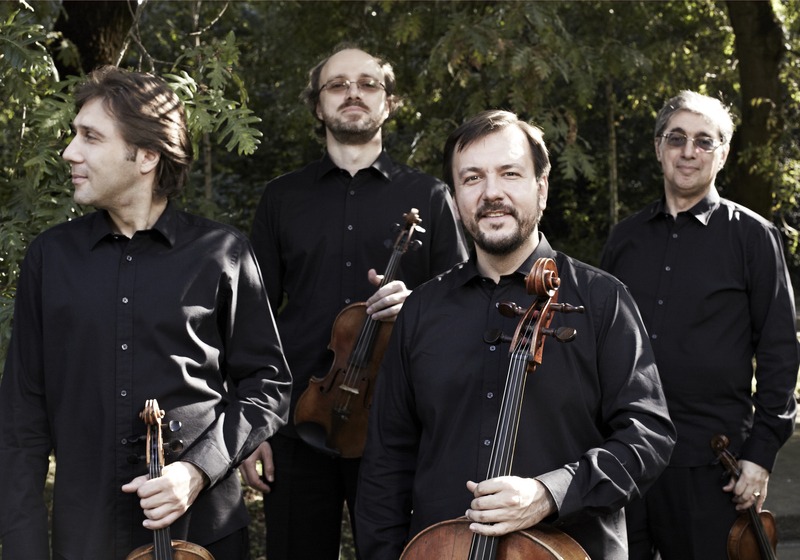 Beethoven and Shostakovich form the core repertoire for the Borodin Quartet’s Australian tour. 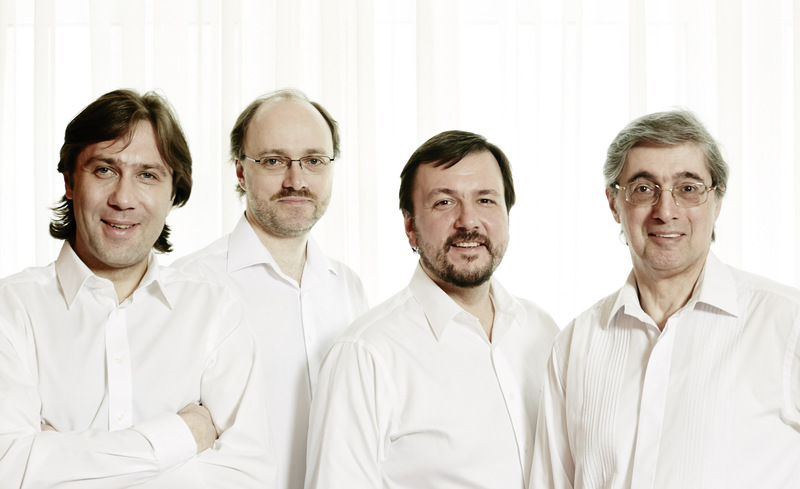 The group has recorded complete cycles of both composers’ string quartets – Beethoven in 2000, and Shostakovich in earlier incarnations of the 69-year-old Borodin Quartet’s line-up. Though fourteen years have passed since the quartet recorded Beethoven, says Igor, the passage of time has not significantly changed the way the players view the music. Naidin and his colleagues do not wait with baited breath for new academic discoveries which might shed light on Beethoven’s music. Paradoxically, the Borodin Quartet is a little too young to have actually premiered Shostakovich’s string quartets – that honour generally went to the Beethoven Quartet – but the group’s members did know and play for the composer. “He was a man of great humour and sarcasm; he was able to be joyful and funny. He didn’t dedicate anything to us, but I think nobody has played his music more in the world than the Borodin Quartet. The 2014 tour will be the first time that the Borodins have performed Shostakovich’s 8th string quartet since 2006. A further highlight, Naidin says, will be Tchaikovsky’s second string quartet. “There is some similarity between Shostakovich’s 8th and Tchaikovsky’s second string quartet. I could compare them in terms of power and emotion. “Tchaikovsky’s Quartet No. 2 is something like Beethoven’s fifth symphony. It’s very powerful, and clearly understandable for a wide range of listeners. While his first string quartet is very pastoral in mood, and his third is rather mournful and funereal, No. 2 is a combination of everything. It’s an absolute fairy-tale. It’s very emotional, full of variety, and very sophisticated at the same time – it’s totally contemporary music. “And actually, it’s not that easy to perform. After you have played it, you are completely emotionally exhausted. It’s not a piece you can play every day. You can’t live through those emotions on a daily basis. Like Tchaikovsky, Schubert had more than his share of antagonistic critics during his lifetime. The violinist Ignaz Schuppanzigh, leader of the Razumovsky Quartet, told Schubert that his “Death and the Maiden” quartet was worthless, and that he would be better off confining himself to Lieder. The Borodin Quartet’s first violinist, Ruben Aharonian, says Naidin, is a great Lieder enthusiast and record collector; he brings his passion to the way the players view Schubert’s quartet, which has at its core his own famous setting of Matthias Claudius’ famous poem. The Borodin Quartet was founded in the same year as Musica Viva, 1945, and shares the same ideals of preserving the finest musical tradition while constantly renewing itself. Although its first cellist, Mstislav Rostropovich, lasted only a few weeks, the principle of longevity was clearly established by his successor, Valentin Berlinsky, who remained the group’s cellist for the next 62 years. The current cellist, Vladimir Balshin, was Valentin’s star pupil. The group’s members obviously have great affinity for their fellow Russian composers, and music by Shostakovich and Tchaikovsky figures prominently in the tour program. The group famously collaborated with Shostakovich on each of his quartets, but never finished up giving a premiere performance or receiving a dedication from the great composer. 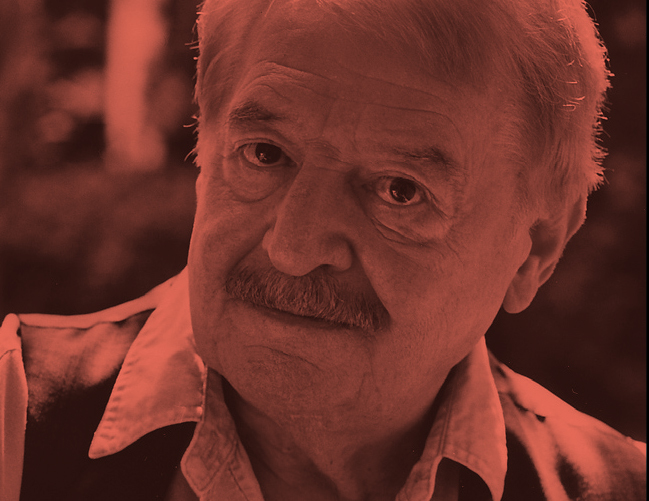 The Eighth Quartet is particularly poignant for the players, as it not only honours the victims of Fascism, but is also the composer’s reflection on his own situation under oppressive rule. The Eleventh Quartet, not nearly as well known, is set in seven continuous movements – a complex work exploring the absence of joy. Tchaikovsky’s Second Quartet is a powerful, wide-ranging and immediately appealing work that provides a fine conclusion to the first program. The second program closes with Schubert’s famous quartet ‘Death and the Maiden’ – one of the monumental mainstays of the chamber music canon. Chamber music lover and Musica Viva volunteer, Tomas Drevikovsky, discusses the repertoire English pianist, Imogen Cooper, will perform on her upcoming Australian tour. Most of the repertoire focuses on the extrodinary musical and emotional kinship between Clara and Robert Schumann and their friend and protégé Johannes Brahms – and in particular on Clara, another ground-breaking female pianist.